LTC Edwin L. Kennedy Jr., U.S. Army retired, did a fine job raising awareness of the importance and value of the staff ride in the education of Command and General Staff College (CGSC) students (“Officer Education at CGSC,” February). Credit should also be given to Arthur L. Wagner, Eben Swift and William Glenn Robertson for the history and development of the staff ride at Fort Leavenworth, Kan. Wagner, an instructor at Fort Leavenworth in the 1880s and 1890s, originally conceived the staff ride. A protégé of Wagner, Swift refined the concept, added a staff ride to the curriculum at Fort Leavenworth and conducted the school’s first staff ride in 1906 (the staff ride that is mentioned at the beginning of COL Kennedy’s article). 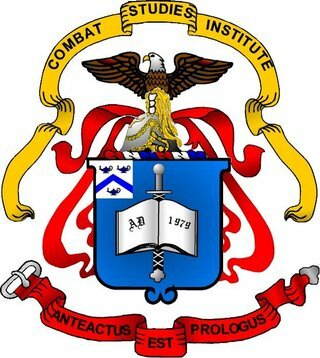 Robertson led the revival of the staff ride at the Combat Studies Institute (CSI) and CGSC in the 1980s. In 1983, he led the first of CGSC’s revived staff rides to Chickamauga, Ga., and in 1987 he wrote the Army’s doctrine on the conduct of staff rides, The Staff Ride. By Training and Doctrine Command (TRADOC) regulation, CSI is the Army’s proponent for staff rides, and the mission of CSI’s staff ride team is to develop and perform rides for TRADOC organizations and the U.S. Army at large, as well as to provide information and guidance to U.S. Army units and agencies on how to conduct staff rides. As part of this mission, CSI performs multiple rides for CGSC. (Both CSI and CGSC are subordinate organizations of the Combined Arms Center at Fort Leavenworth.) Most of these rides are conducted as part of CGSC’s advanced application program courses (commonly known as electives) and are conducted for both annual CGSC classes in the fall and spring terms and for the School for command Preparation, involving instruction to more than 250 students a year. The courses taught are the Chickamauga Staff Ride; the Sioux Wars Staff Ride; the Normandy Staff Ride (in conjunction with the CGSC student exchange program with France); the Gettysburg Staff Ride (conducted for more than 100 international military students); Operation Iraqi Freedom (a virtual staff ride conducted with computer generated terrain views); Operation Anaconda (also a virtual staff ride); and Westport (for officers seeking the historian 5X additional skill identifier). In short, CSI provides CGSC with a vast array of staff rides—the most extensive staff ride program in the Army’s school system. CSI stands ready to execute the remainder of its staff ride mission and to otherwise assist the Army at large, as well as other services, government agencies and allied armed forces. CSI’s staff ride team is prepared to execute more than 30 rides in the United States and Europe, covering campaigns and battles from the American Revolution to the conflicts in Iraq and Afghanistan. It can also assist units in preparing and conducting their own staff rides. In sum, the CSI staff ride team provides staff ride assistance to many organizations and is ready to help others. For more information, please see the CSI web site: http://usacac.army.mil/CAC2/CSI/. MAJ CURTIS S. KING, USA RET., PH.D.